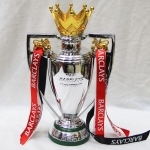 Premier League Trophy FA Champion Cup 45 cm Replica Size [Premier League trophy] - $149.00 : Trophies Art, Inc. Online Retail Store for Award Trophies, American Football, Super Bowl Trophy, UEFA Champions League Trophy, FFL or Fantasy Football League Trophy. 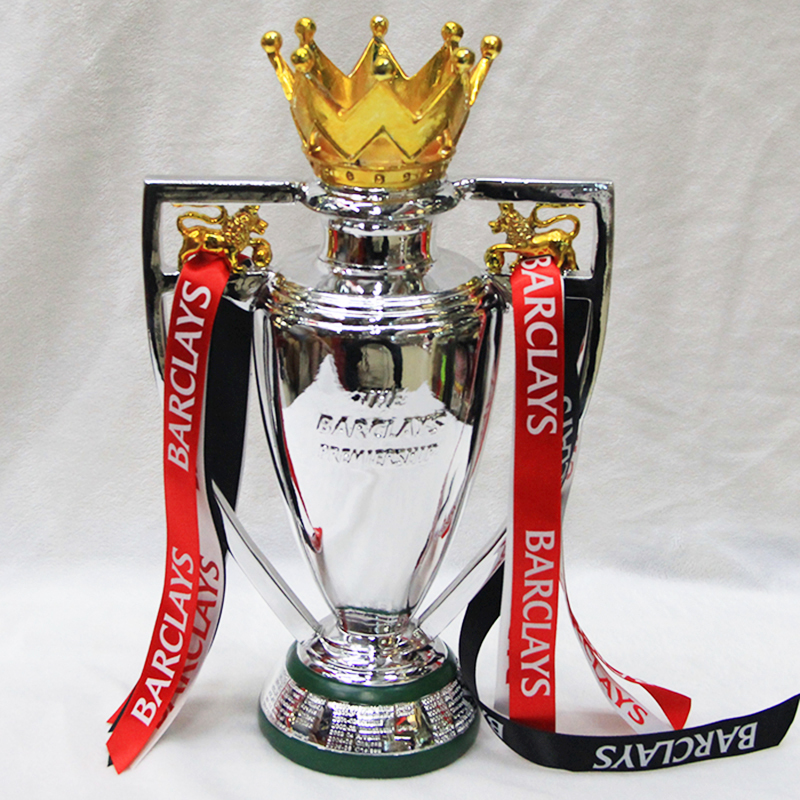 The Premier League trophy stands 45cm highX28cm wideX 16cmdeep. 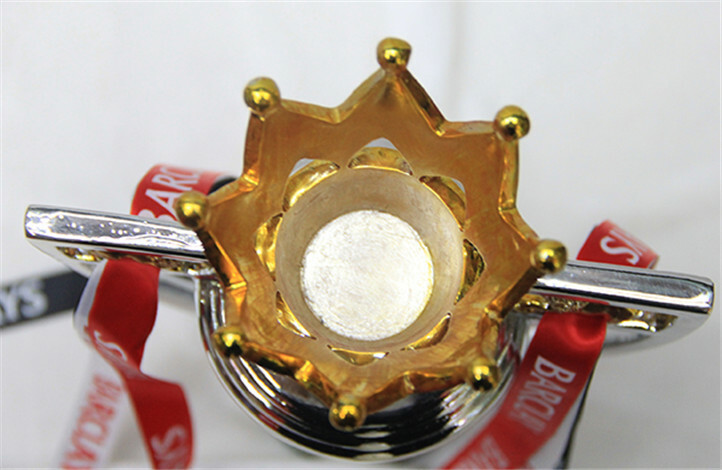 The main body of the trophy is made from solid silver gilt resin with sterling silver color. The semi-precious stone called malachite is used for the plinth. Design features of the trophies include the lions and crown, which have been taken from their logo. 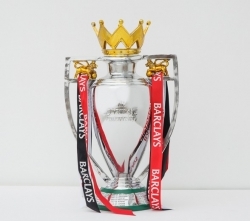 The Premiership trophy is made from sterling silver and silver gilt, it is on a malachite, silver and gilt plinth. The crown lid is fitted with a bayonet fitting to ensure that it stays on during celebrations! The circumference of the plinth contains a silver band. 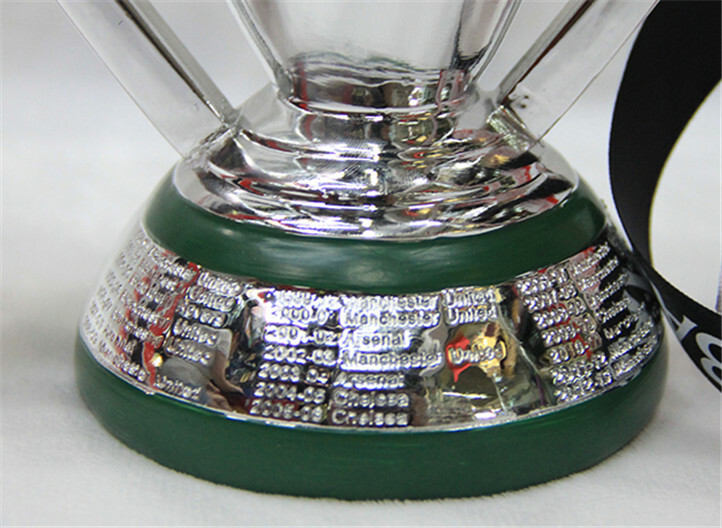 Likewise, this particular part of the trophy also features the names of title-winning clubs. Malachite is used as one of the primary designs because of its greenish color, which represents the color of the playing field. 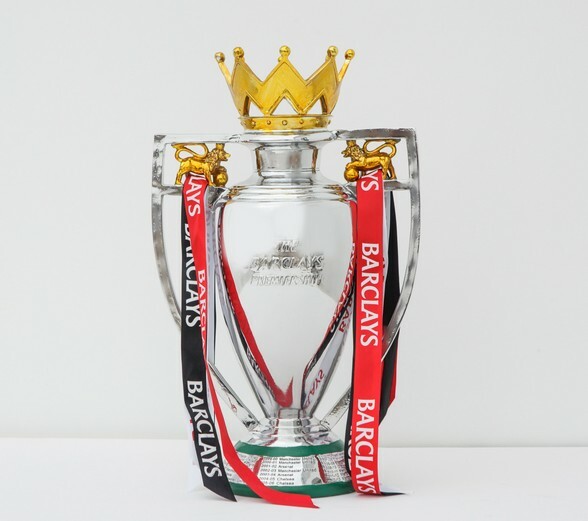 One of the main factors considered for the design of this specific trophy is the English football?s heraldry of Three Lions. You can find two lions somewhere on top of the handles at the sides of the trophy. At the end of the season, the captain of the winning team represents the third lion as he raises the trophy with the gold crown.